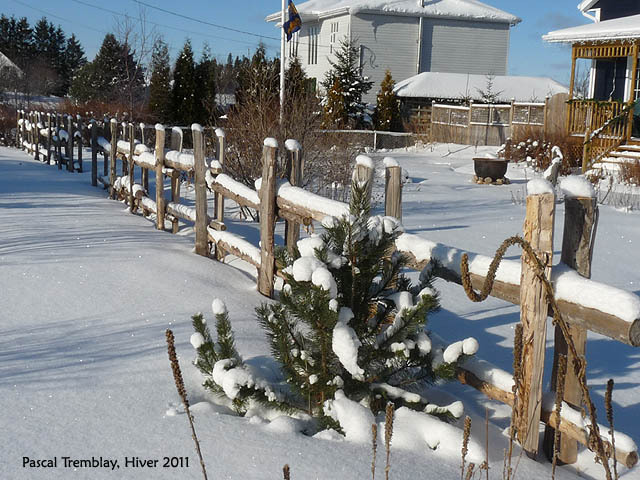 To give a country style in front of my yard, il build a cedar rail fence. Here its not esay now to find some cedar rails. Do you use it in your states? Nice! Should last you a while. Many here use mesquite or cedar--last forever. Since both trees are water suckers,ranchers clean them off the fields. Also,mesquite is a great source of very hot heat or BarBQ wood. Effectively, farmer used another kind of fence around her field. I found many cedar posts for sale... but for rails its not easy to find them.